We wish to express our gratitude to the reporters, genealogists, webmasters, and everyone who has been involved in supporting the history of West Ford and his descendants. Thank you for giving us the opportunity to tell our story to the public. Part of the remarkable legacy of West Ford is the amazing "paper trail" that he left behind - one that is being perpetuated centuries after his passing. Mentions of West Ford in various forms of preserved media, from public records to private papers, to print and broadcast news, are a clear mark of distinction - and this tradition continues. The significance of the West Ford heritage has become even more apparent in the new millennium. The first book about the Ford family was released in 2001 and is in it's 4th printing. The Legacy of West Ford's website continues to educate and to share pertinent facts about the Ford family; it's history, archival photos, land grants, last wills and testaments, newspaper articles, and archival records for public review. July 31, 2001 - "West Ford Was in the House" article by Wendy Robinson for the Multiracial Activist. July 25, 2001 - "Invite Relatives to Washington Dinner" op/ed article by Pam Adams, Peoria Journal Star. July 24, 2001 - Interview on the Richard Kaffenberger Show for KZZZ in Bullhead City, Arizona. June 14, 2001 - Interview with Malik Russell for the Black World Today for Black World Radio. July 5, 2001 - "Author details claim of tie to Washington" article by Robert Jackson, Rocky Mountain News. 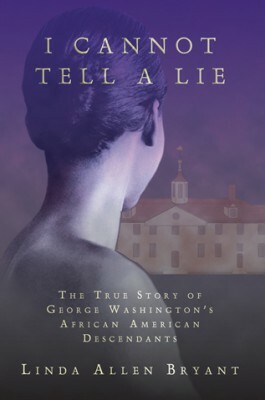 June 2001 - "I Cannot Tell a Lie" Linda Allen Bryant's novel released.